One hot sunny day in the middle of June I set out on the train, bacon butty and extra strong coffee in hand, for an afternoon of secret filming at a location I couldn’t talk about. Weeks earlier I had been contacted by a production company, researching for possible programme content. It soon became clear that others working in the relevant area had had similar approaches. The company, Wall To Wall, the programme, Who Do You Think You Are. Each episode of WDYTYA takes a celebrity on a journey, investigating their family history. It seeks to tell historical stories in an engaging, human way, with the featured celebrity discovering a gradually unfolding narrative abo ut some of their ancestors. There have been a fair few surprises and twists in the tales told over the 13 series to date, with Danny Dyer’s shock at uncovering a royal lineage perhaps one of the most memorable for me. At the point I was contacted they were working on series 14 and the celebrity at the centre of their investigations remained unknown. Initially I was asked about my research on WW1 conscientious objectors. Then I was given was a name, Evan Meredith, and a little information about the part of his story Wall to Wall were interested in. Having conducted some initial research, looked at some documents and been sounded/sussed out in person by the director and assistant producer, I was signed up to appear. I was to cover some aspect of one of the stories investigated. It was at this point that everything became pretty clandestine – I signed a scary non-disclosure agreement and, as if by magic, was sent the name of the celebrity. Speculation about who it could be – I only knew that they were referred to as ‘she’- of course, began from the outset. Evan was Welsh, so a Welsh woman? Who had not featured in the programme previously? Or maybe someone with Welsh heritage? Anyway, my guesses were hopelessly wrong. Fearne Cotton! Great! Never would have guessed. The location, however, remained uncertain for a bit longer as Wall to Wall tried to negotiate access to a prison cell in one of the locations where Evan was detained (more on this later). And so, after some careful outfit planning (black, obviously, if you’ve met me) I was on my way to Carmarthen and to a small police station cell, very like and very near to one of the cells in which Evan spent some of the First World War. Evan, Fearne’s great-grandfather was a conscientious objector to military service – and he became an Absolutist objector, meaning he stood out, refusing to cooperate or compromise. Initially the First World War was fought by a military made up professional soldiers and men who volunteered for the duration of the conflict. Conscription came to Great Britain in early 1916, as a means manpower management – allowing the authorities to both control the numbers and the identity of men who entered the military – and most of the men who joined the military during the war were in fact conscripts, despite the popular myth of the volunteer. Although conscription was introduced in 1916, as a miner Evan was not called up until 1918 – mining being important war work he was left to his own devises until the authorities started a ‘combing out’ process, whereby more men were forced to be soldiers. There was no feeling that I had taken the wrong course. Conscientiously I was satisfied that my resistance was consistent with the upheavals which miners and other workers had fought against, low wages and bad conditions, with extreme poverty and extreme wealth existing side by side. Evan was, however, in the eyes of the law a soldier. When ordered to report to Brecon Barracks he refused. He did not at this stage, like many other objectors, apply to a Military Service Tribunal seeking some level of exemption from military service – which he may or may not have been granted. Instead he waited and was consequently arrested by the civilian police in June 1918. When handed over to the military he refused to put on a uniform and was court- martialled. His offer of undertaking ambulance work (having had some experience of first aid with St John’s ambulance) was dismissed and he was sentenced to six months imprisonment with hard labour for the offence of disobeying a lawful command. This he spent in a prison cell in London’s Wormwood Scrubbs, a prison which would have most likely had hundreds of objectors passing through its wall at that time. Here he was kept in a small cell, much like the one featured in WDYTYA. He was subjected to the harsh prison conditions of the time, which included the dreaded silence rule, meaning, for example, that inmates were not permitted to communicate with each other – and their communication with the outside world was also severely limited. The armistice was signed in November 1918 but neither the volunteers or conscripts, let alone the conscientious objectors in prison, were to be released from their uniformed existence. The war had not officially ended. And there was a politics to who should be released first. The men last conscripted into the military, for example, were likely to be those whose previous occupations would be most useful in moving towards a post-war Britain – but this was not popular with those who had volunteered prior to conscription or been conscripted earlier in the war. Dissent in the military showed itself in strikes and mutinies – and there were the difficulties in Ireland as well as industrial unrest for the government to contend with. 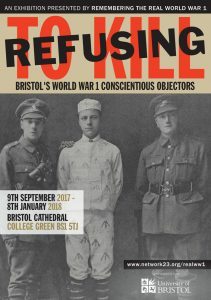 In this context, conscientious objectors who were imprisoned for failing to cooperate were unlikely to be amongst the first to be allowed to return to civilian life – releasing them too soon might look like they had won and objectors were often seen as unpopular figures, particularly the absolutists. But holding them for too long or treating them too severely might increase the support and sympathy for them which was also a continual matter of concern for the authorities. This was going to be tricky. Evan’s six month sentence was to end in early December 1918, after he had spent five months behind bars as there was at the time an automatic remission of one sixth of a sentence for, as he put it, ‘no bad conduct’. Two soldiers were waiting for him at the gates of Wormwood Scrubbs when he was released. He was in the eyes of the state still a soldier, so they escorted him back to Wales, this time to Pembroke Barracks. There he again refused to put on a uniform, was court martialled and sentenced to 12 months hard labour. He was taken to Carmarthen Prison to serve out his time. Here the regime at the time seems to have been a little less severe than at the Scrubbs but, of course, it was still harsh. 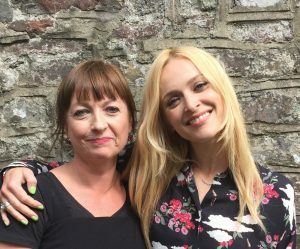 The Carmarthen Prison was demolished in the twentieth century but stood next to the old police station, with its lock-up cells – one of which served as the location where I talked to Fearne. What then of Evan? Assuming the remission earned for a failure to act badly, he was due to be held at Carmarthen until October 15 1919. However, this was not to be. As the months passed, the around 20 objectors held at the jail were becoming fractious and seeking their release. Moreover, they had heard of the protests and hunger strikes which other imprisoned objectors had been involved in other prisons from well before the armistice. There were calls for a hunger strike and Evan, with a training in political and industrial affairs from his mining days, was the best able to lead an organised protest. And so, at the end of August 1919 the conscientious objectors in Carmarthen Prison went on hunger strike. By this stage of the war the barbaric force-feeding which had been practiced upon prisoner conscientious objectors who refused to take sustenance (as it had been upon suffragettes before them) had been discontinued. Instead, measures used to ensure that no objectors would die as martyrs as a result of force feeding or starvation (which had also previously been used in relation to suffragettes) were utilised. The Prisoner’s (Temporary Discharge for Ill-Health) Act 1913 – the so-called ‘Cat and Mouse Act’ – allowed for prisoners whose health was in danger to be temporarily let go, only to be returned to jail once they had sufficiently recovered (so the state took the role of a cat playing with suffragette/objector mice, catching then releasing them, only to capture them again). Four days into the strike at Carmarthen the Prison Governor released the men – temporarily, of course. And then the story becomes a little cloudier. It seems that Evan at least was not subsequently returned to jail – and the records show that what was left of his sentence was remitted on 9th September 1919. He was a free man. And so the day of his Cat and Mouse Act release was to mark his permanent exodus from prison. He clearly savoured it, with his first task being to visit a barber and get a shave – no raisers being allowed in prison. After that, despite experiencing some difficulties as a result of his stance, which was not uncommon for objectors, he thrived – again something which was not uncommon amongst objectors. He married and took up a respected position as a chemist. Evan’s story casts light on a lesser know perspective on the First World War and demonstrates that the most common perceptions of objectors and what they experienced can be very far from the truth. Evan was a political and moral objector – his stance was not based upon religion. He experienced some hardship and ill-feeling as an objector but also made good, demonstrating that he was still socially acceptable – in fact, there was a great deal of sympathy and support for objectors both during and after the war. Perhaps the latter point is best illustrated by the fact that in the 1920s 24 former WW1 conscientious objectors were elected to Parliament. It was my legal and historical research on conscientious objectors and WW1 which led WDYTYA to me – and me to find out more about Evan and have a very pleasant afternoon in Wales with Fearne and the crew. It is a fascinating period in history and the stories of the men who conscientiously objected during the conflict are important. Objectors, like volunteers, followed what they thought was right and bore the consequences. We can learn much from them – and from the many who supported their stance. To watch the Fearne Cotton’s episode of WDYTYA on BBC iplayer, go to BBC One webpage. 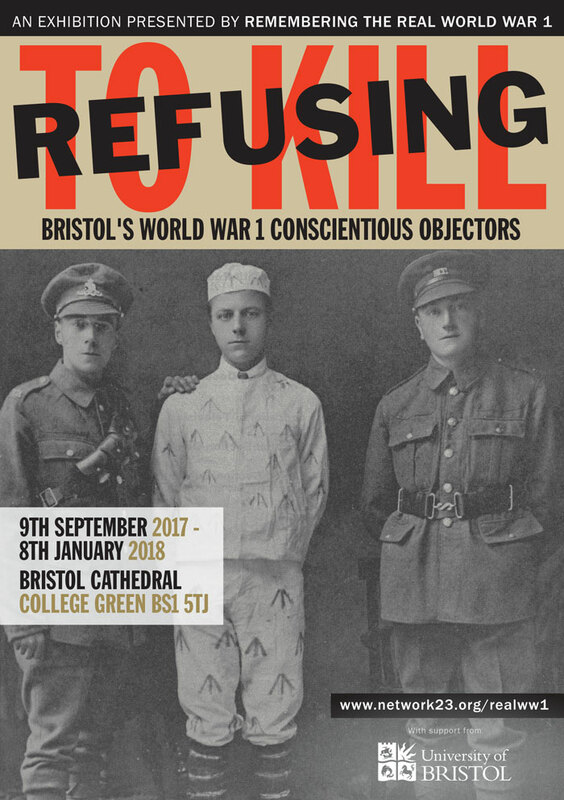 To read more about First World War conscientious objectors, see previous blogs on Commemorating Conchies: A time to remember the men who rejected military conscription in WW1 and Righting the Injustices of the Past: The Case of Alice Wheeldon.